to implement a client use case. 1. 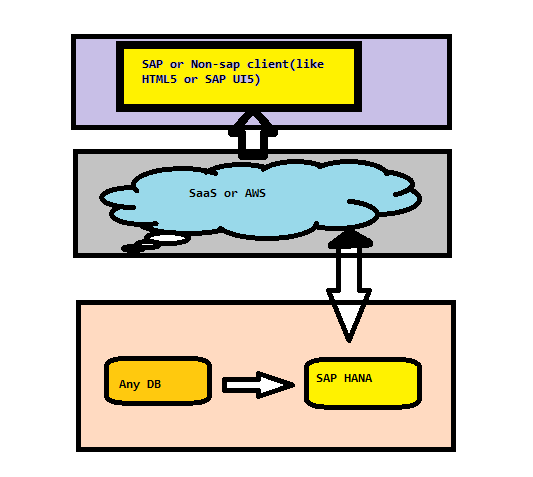 Replication scenario: This type of scenario mainly known as “Side by Side” or “Side car” Scenario where HANA act as a secondary DB and replication of data is needed from the primary database (may be SAP ECC or other non SAP system). Data replication is done by ETL process like SLT or BODS or DXC. 1. Integration Scenario : In integration scenario SAP HANA act as a primary database for an ECC system.Replication to the secondary database is not required. We can perform both read and write operation to the database. 1. 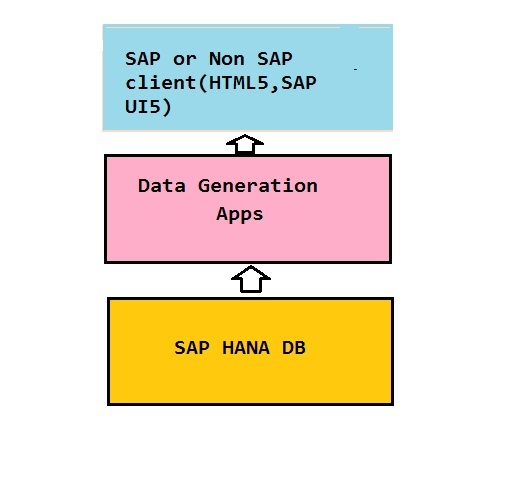 Transformation scenario: Similar to Integration scenario in transformation scenario SAP HANA act as a primary DB but ii is not intended to provide a base for SAP BW or other related app. Here it is become a foundation for disruptive application.Disruptive application are applications that changes the rule of a game. ◈ App scenario: We can define this scenario as data mart scenario plus real time. When data up to date is important we will use this scenario. In this scenario reaction time is the key.Data is being feed from directly application to HANA DB and not necessary data need to be written into the database. ◈ Content Scenario: If we thing about architectural perspective content scenario is the combination of app and the data mart scenario. the difference is that in content scenario required data flow and reports are provided by SAP in a ready to use format. So it can limitation to get data from SAP applications mainly SAP business suite only. this is the limitation of this scenario. ◈ Accelerator Scenario: In this scenario HANA system sends data or message to application rather than the user.The target can be source system HANA itself.For example,any SAP application that is called a customer exit.When credit limit exists accelerator called customer exists. ◈ Cloud on SAP HANA: This implementation scenario is a architectural variance. When the SAP HANA DB is available via Amazon services instead of licence this types of scenario used.for example : Recall Plus. 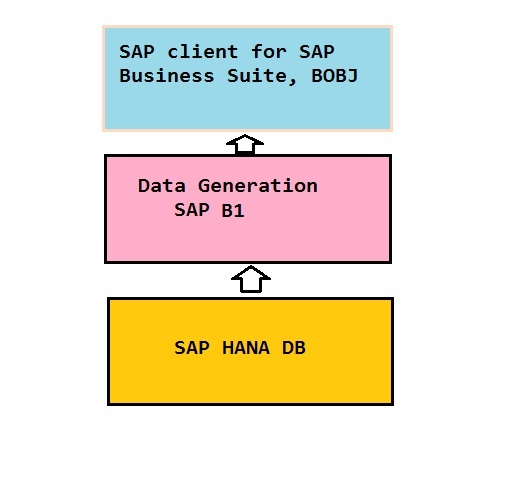 ◈ SAP Business on Analysis: In this scenario reports on SAP business one solution do not read the data from the application but from the mirror of HANA DB similar to the content scenario. ◈ SAP Business Suite on SAP HANA: Sap business suite and its core component like CRM has been implemented on top of SAP HANA. Here SAP HANA becomes the primary database. ◈ SAP Business One on SAP HANA: It is embedded with SAP HANA database and statistical tools to analyze small and medium seized industry.Here SAP HANA replaces r the ever used Microsoft database. ◈ SAP BW on HANA : SAP BW is implemented on the top of SAP HANA and HANA act as an primary database. This type of scenario is needed when write operation needed along with read operation.